For the week ending 8th October, Bank Credit for all U.S. commercial banks increased $651.2 billion, or 6.5%, compared to the same week last year. 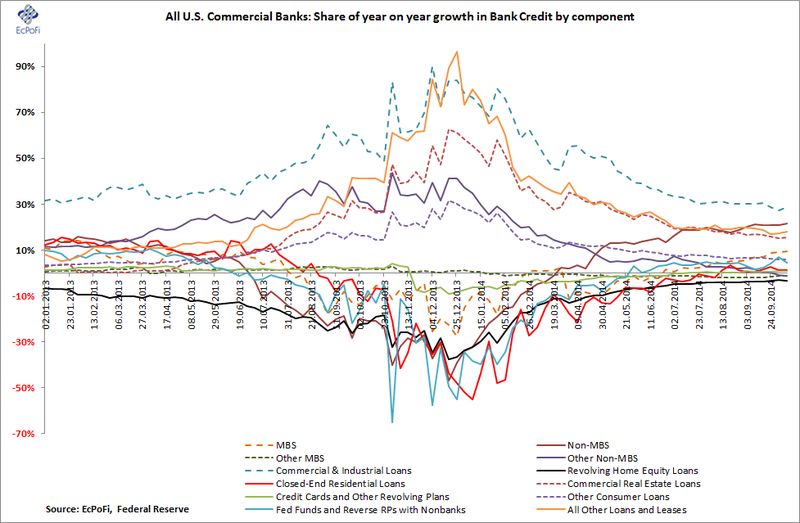 Bank Credit is the major asset item on banks' balance sheets and consists of various types of loans and investments and is a key driver of money supply growth (together with the Fed monetizing government and agency debt). 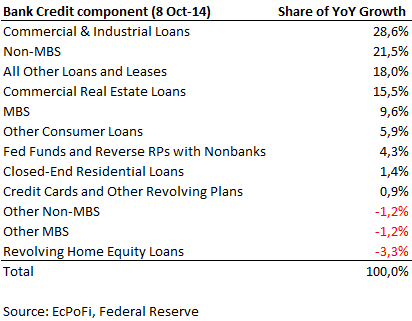 The chart and table below show the components of bank credit that generated this increase.